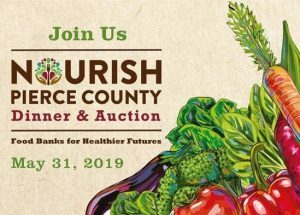 Formerly known as Fish Food Banks of Pierce County, Nourish Pierce County provides nutritious food and support services to people in need with compassion, dignity and respect. 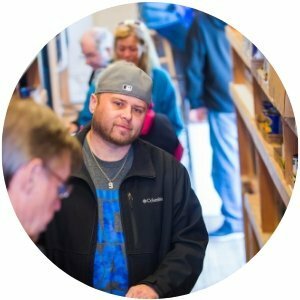 Through our network of seven food banks and two mobile food banks serving seventeen additional sites, we provide food directly to people in need across Pierce County, Washington. 34% of Nourish clients are children ages 18 and younger. 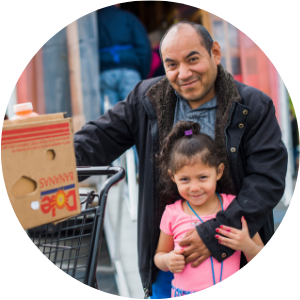 1 in 4 kids in Washington lives in a household that struggles to put food on the table. Summertime is hungry time: Washington ranks 40th out of 50 states in reaching low-income children with summer nutrition. This is our call to action! Some experts believe that “poverty” is being rebranded as “hunger” so we are not forced to deal with larger systemic issues, such as people not earning a living wage, reduced employment opportunities, the rising cost of goods and services as compared with stagnant or reduced incomes. 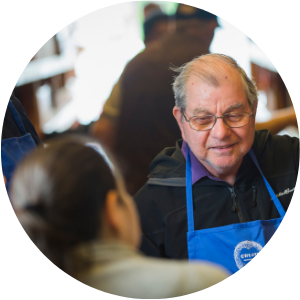 The fastest growing group among Nourish clients is people over 55. Many were downsized in the recession and have been unable to find new employment. Seniors are often dealing with lack of transportation, functional limitations or health problems.